My aunt had a candy display tree like this one. 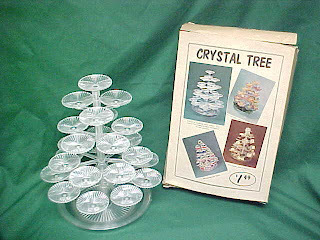 The box says "crystal tree" but it was plastic. She put it out every Christmas on her dining room table. I think she usually had jelly candies on it, the kind coated with sugar. Posted by Karen at 3:40 p.m.